Research has revealed that the nutrient value of tomatoes is increased by cooking (but not by overcooking), so indulge in a good tomato sauce frequently. 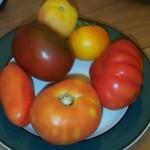 There are many different ways to make a sauce with tomatoes, from a light meatless marinara to a heavy bolognese. This is a rich, meaty sauce that originated in Bologne, Italy. While traditionally it need not contain tomatoes, in American restaurants it almost always is a meaty tomato sauce. You can use beef, lamb, prosciutto, or Italian sausage. I do not recommend ground turkey, but turkey Italian sausage is OK. I use a mix of ground beef (lamb or buffalo is even better) and mild Italian sausage. An alternative to Italian sausage, is to increase from 1 to 2 pounds of ground or cut-up beef, buffalo or lamb, and add 1 – 3 tsp freshly ground fennel seeds with the other herbs. You can also add chopped fennel bulb with the other veggies, and some of the feathery fennel leaves with the herbs. This recipe is adapted from cooks.com (1), and makes about 4 cups of sauce. 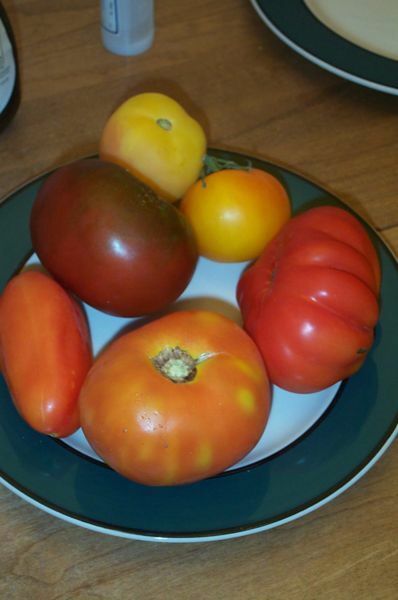 It can also be made without tomatoes – the more traditional way, with a dark brown roux; see variation, below. Peel tomatoes, then chop coarsely. Dice onion. Scrub, seed and dice bell pepper. Scrub and grate carrot. Cut sausage into 1/2 inch cubes and brown in cast iron skillet over medium heat. Drain and set aside. Brown ground beef/buffalo in same skillet over medium heat. Drain and set aside. Melt butter (or warm olive oil) in same skillet over medium heat. Add onion, bell pepper and carrot; saute about 5 minutes. Stir in sausage, beef/buffalo, tomatoes, garlic, herbs and seasonings. Simmer, covered, at least 40 minutes. Stir in wine and tomato paste; simmer, covered, 15 minutes more. Adjust seasonings as necessary. Follow instructions, above, step 2 through step 5. Then make a roux of butter and flour (1 Tbsp each per cup liquid to be added) in the same pan, scraping browned bits into the roux, and slowly brown the roux over until it is a dark rich brown, 20 minutes or more. Add water or broth to make the sauce (you can also add red wine), whisking until it thickens. Add back the reserved meat and veggies plus seasonings, wine and tomato paste (optional), and simmer. This entry was posted in Beef, Buffalo, Game, Herbs, Lamb, Onion family, Pork, Root Veggie, Sauteed, Simmered, Stock, broth, Vine veggies and tagged bay, beef, bell peppers, game, lamb, onion, oregano, pork, red wine, sausage, tomato. Bookmark the permalink.